A rare, candid photograph of the ''Sound of Music'' cast, signed by Julie Andrews and the seven children, who add their character's names. 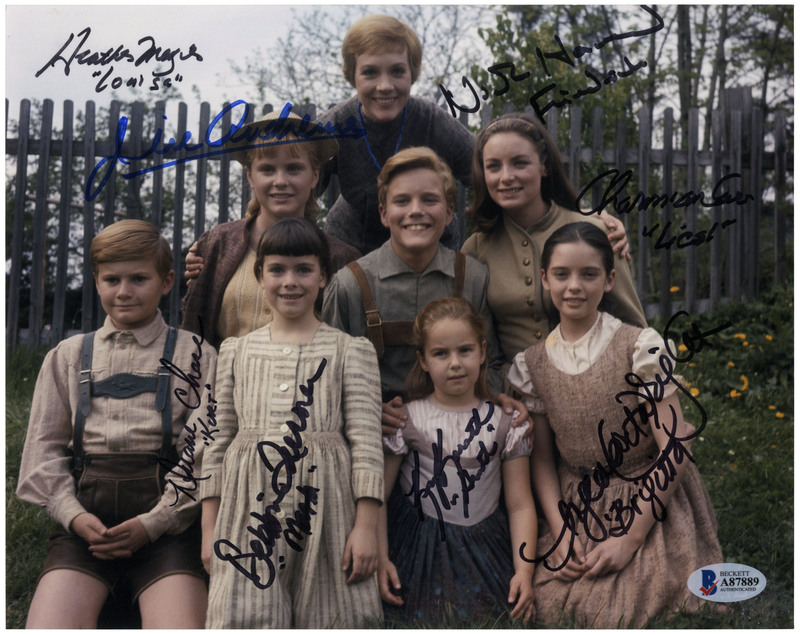 Photo is signed by Julie Andrews, Angela Cartwright, Duane Chase, Kym Karath, Charmian Carr, Nick Hammond, Heather Menzies and Debbie Turner. Satin-finish photo measures 10'' x 8'', in near fine condition. 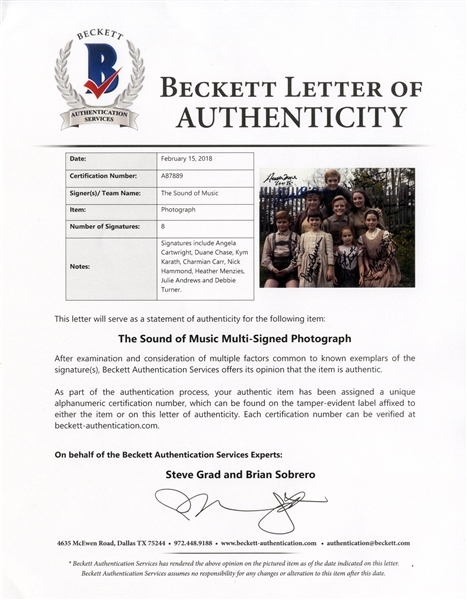 With Beckett COA for all signatures.